Home / Where is Pearl Harbor Located? Pearl Harbor is located on the Island of Oahu in the State of Hawaii. You may ask where is Pearl Harbor located in the world. It is in the middle of the Pacific Ocean. Pearl Harbor is near Honolulu International Airport (HNL). It is a 20 minute drive from Waikiki (depending on traffic). 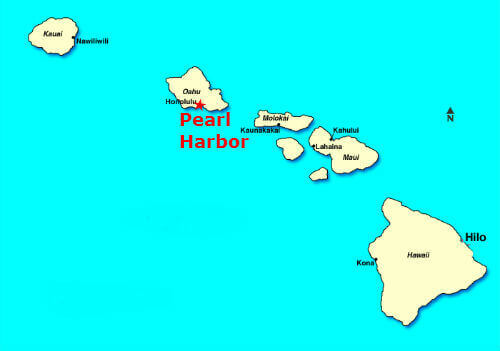 ← Where is Pearl Harbor Located?